Fewer disabled residents in Hartlepool are waiting for grant-funded improvements to their homes thanks to extra funding. Disabled Funding Grants of up to £30,000 are awarded to people to carry out work such as widening doors and installing ramps and providing stairlifts or a downstairs bathroom. 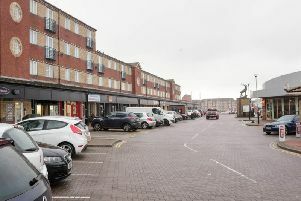 It is almost two years since Hartlepool Borough Council’s Regeneration Services Committee expressed concerns about funding for the grants. It was after hearing 119 applicants were still waiting for work to be done to the value of £540,100. But a more positive picture was presented to the Adult Services Committee. In December 2015, the average waiting for grant funded work to be completed was 207 days. By the end of March this year, the waiting list had more than halved from 110 at he end of 2015/16 to 48. And the average waiting time for a grant had also reduced significantly from 346 days previously to 189. In 2016-17, 213 Disabled Facilities Grants were completed, comprising 235 adaptations. Jill Harrison, the council’s assistant director of adult services, told the committee: “Generally, people are experiencing a much shorter waiting time. “That’s largely been achieved because there has been significant investment in DFGs nationally. “The council has received a specific allocation for DFGs for a number of years. Hartlepool’s allocation in 2016-17 was £863,000. That has been increased by 7.8% for the current financial year to £930,000 and the council is expecting a further increase next year.